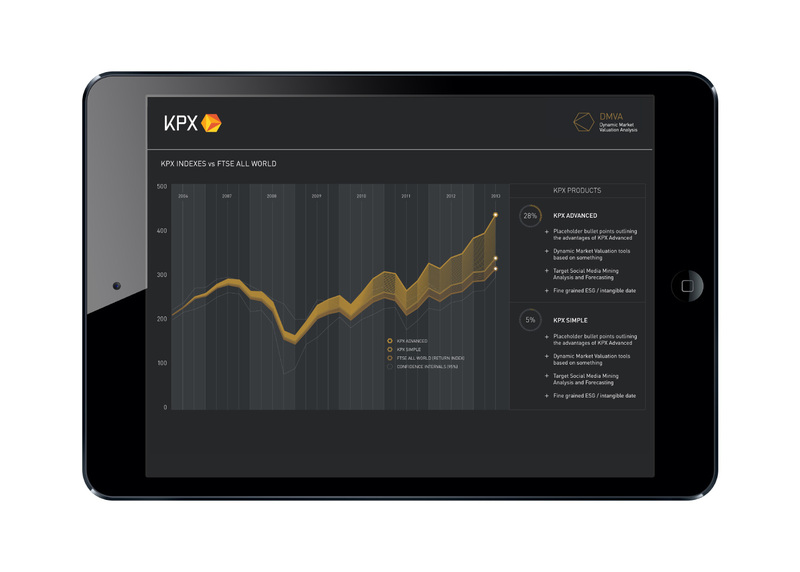 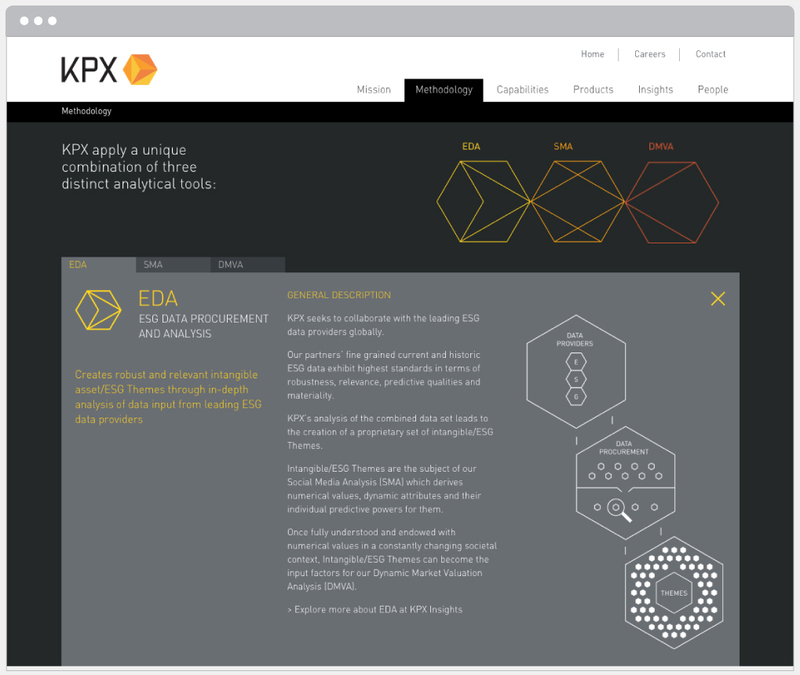 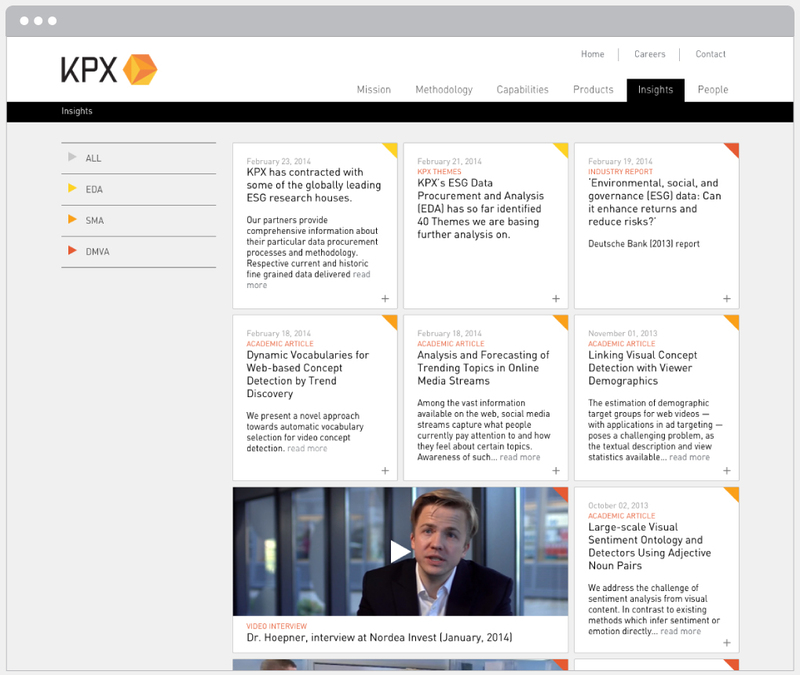 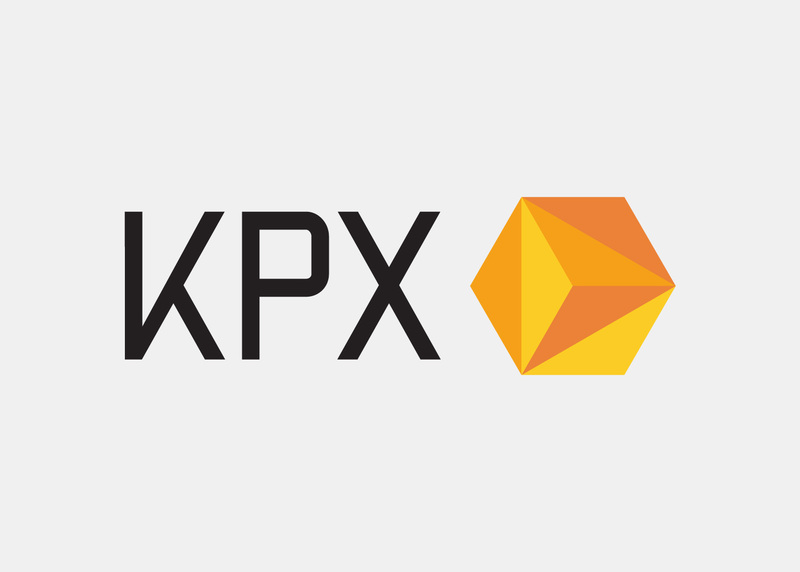 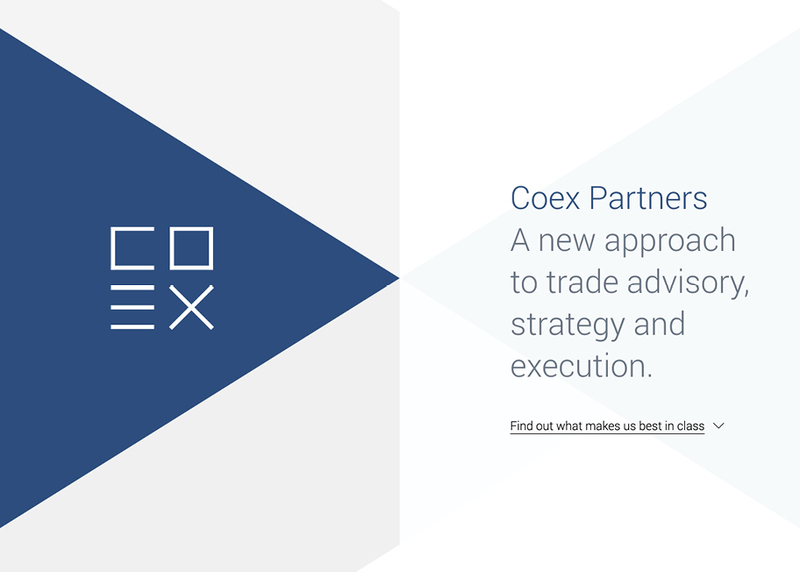 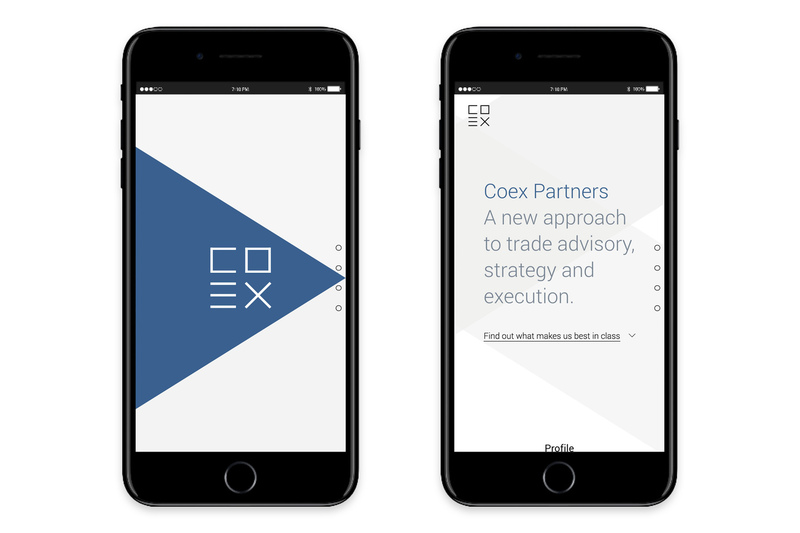 Brand development for financial service provider KPX to communicate it’s pioneering research and investment advisory services. 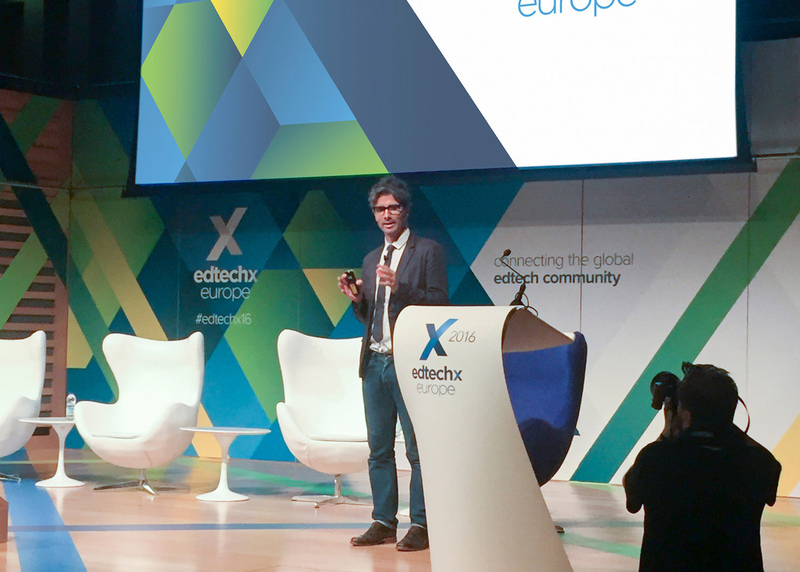 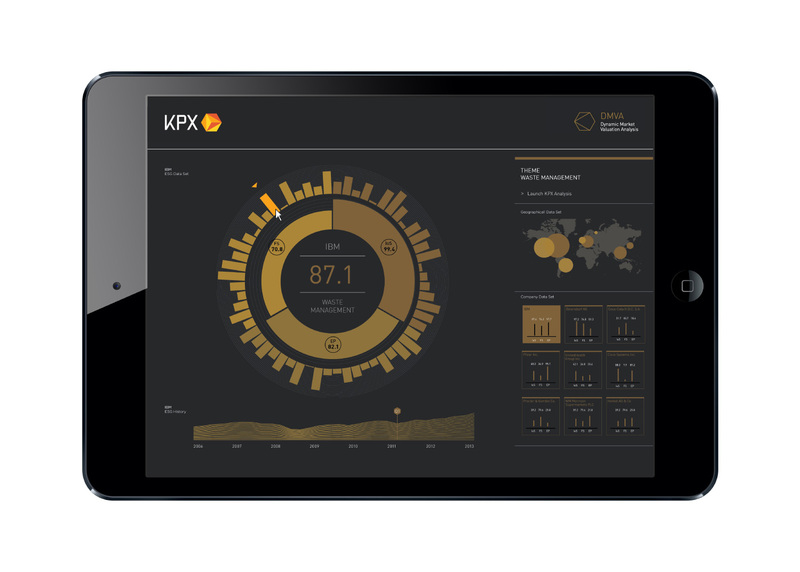 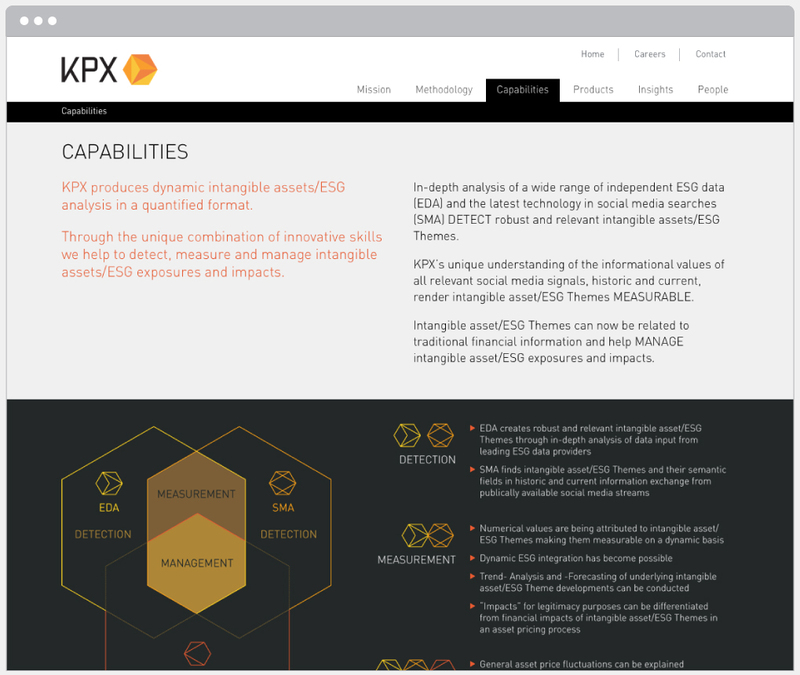 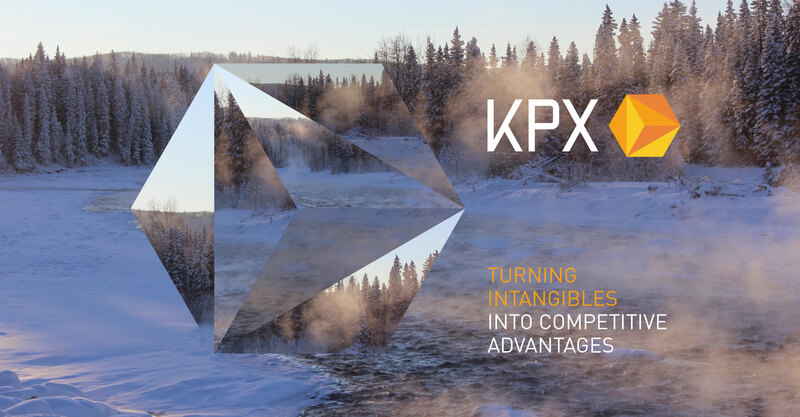 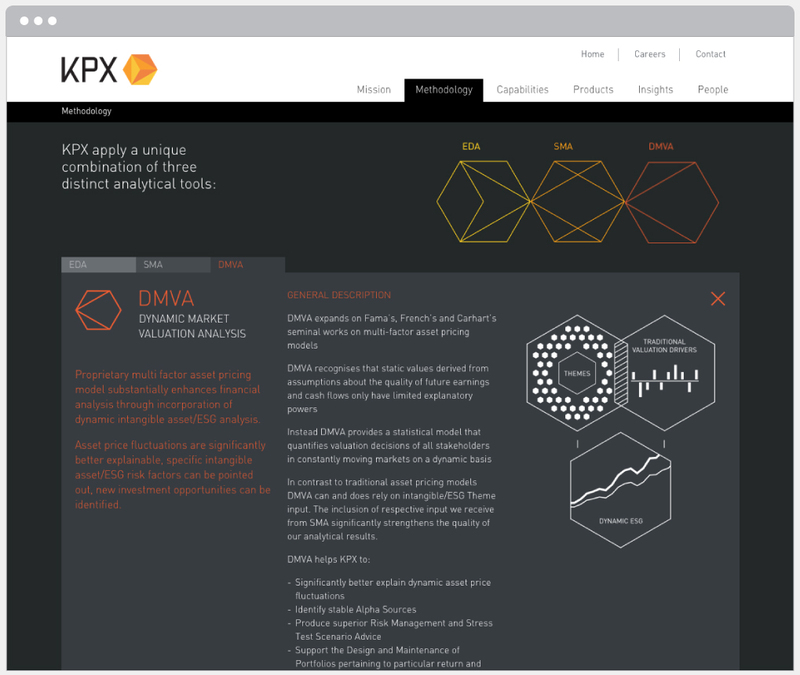 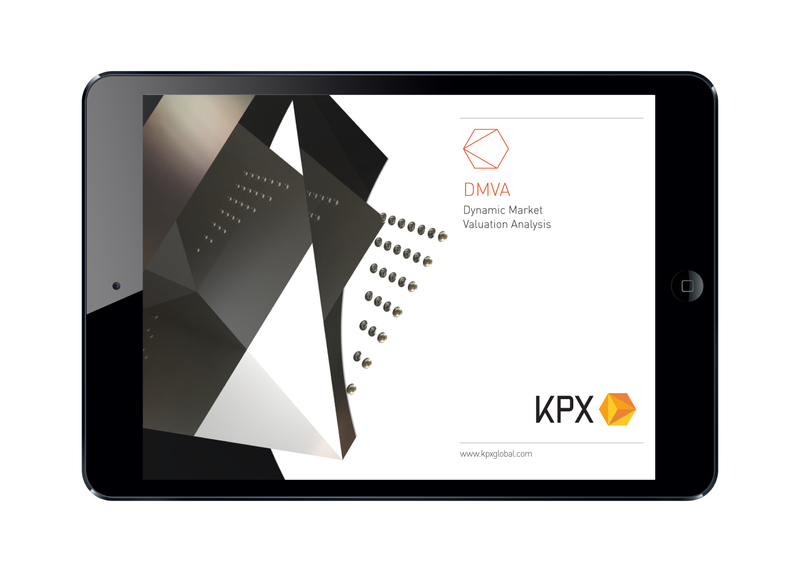 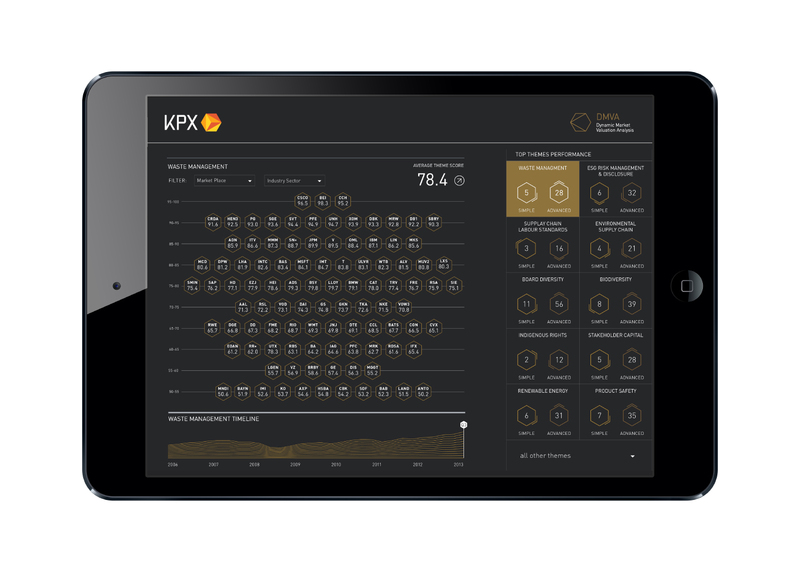 KPX has developed new multi-factor asset pricing models to produce quantified, constantly up-dated and forward looking intangible asset- and ESG information. 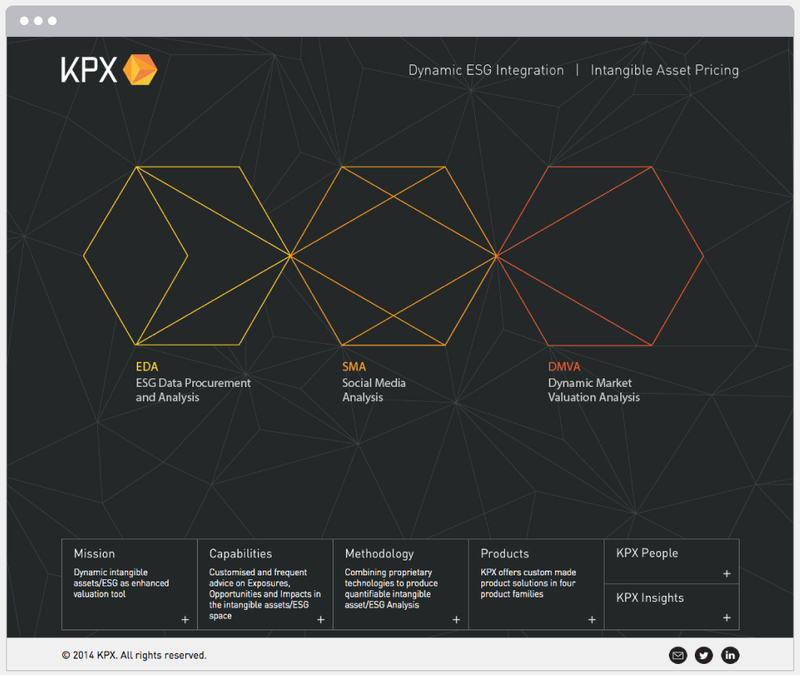 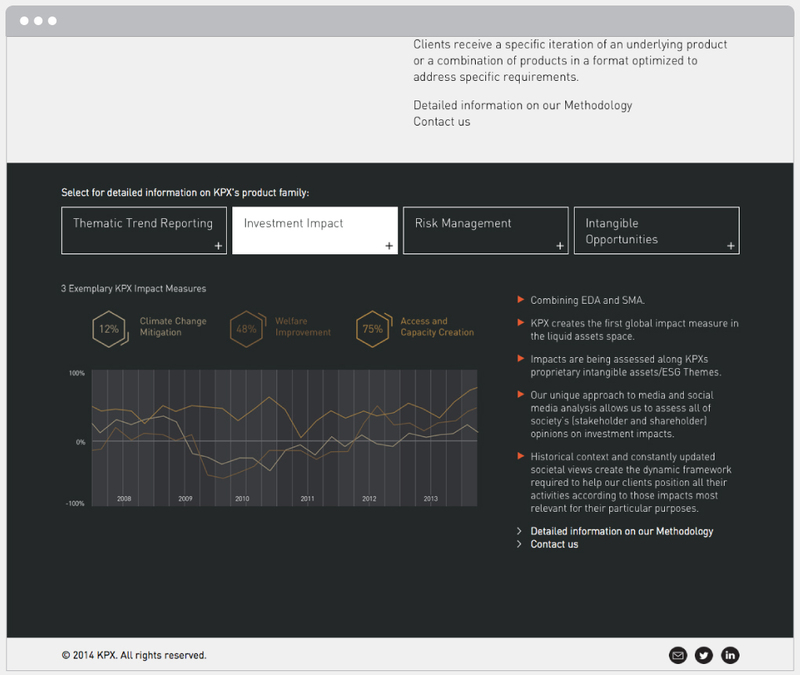 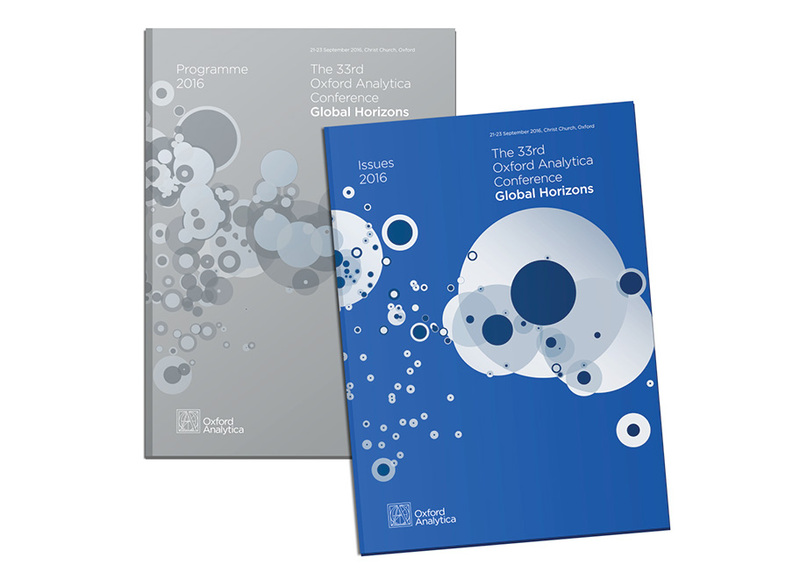 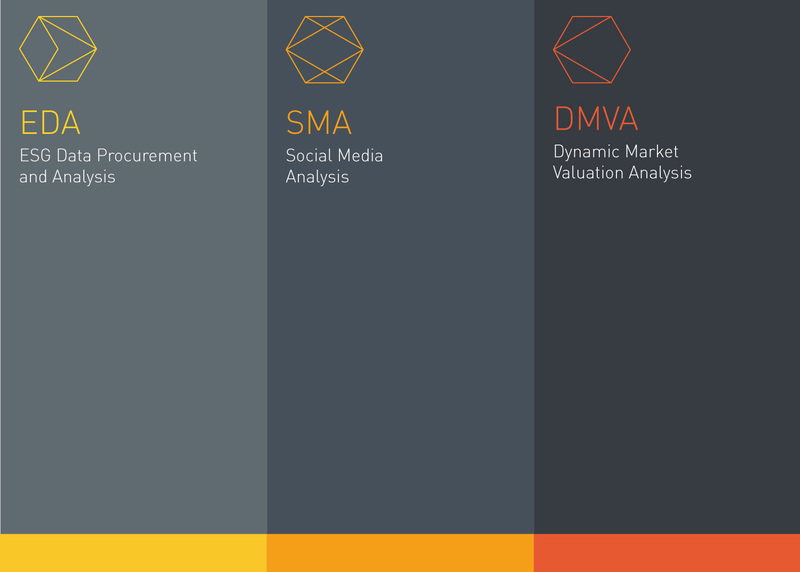 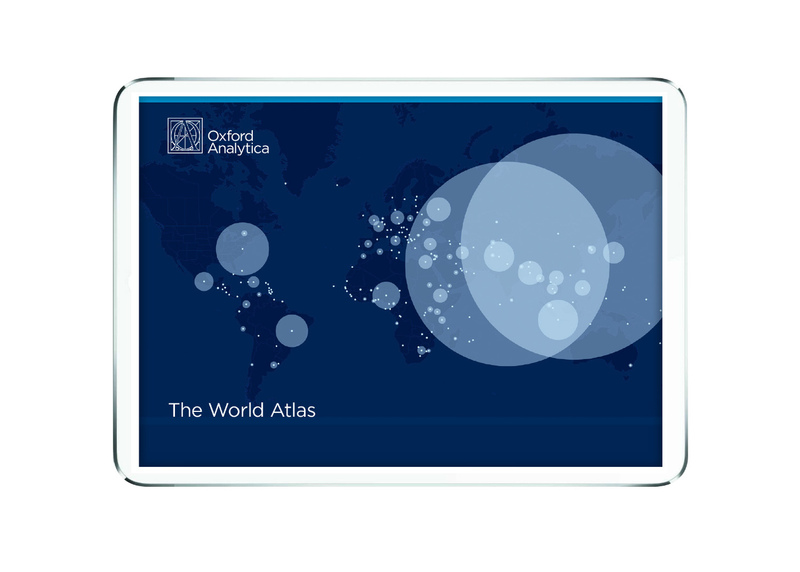 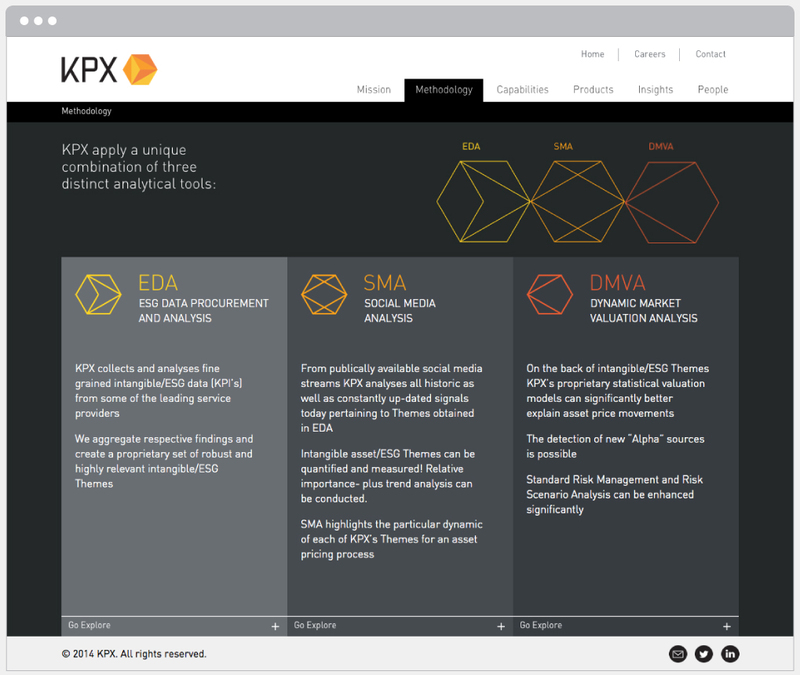 Prototype designs for data visualization tools dynamically measuring intangible asset/ESG themes to deliver risk management and stress test scenario advice while identifying new investment opportunities.